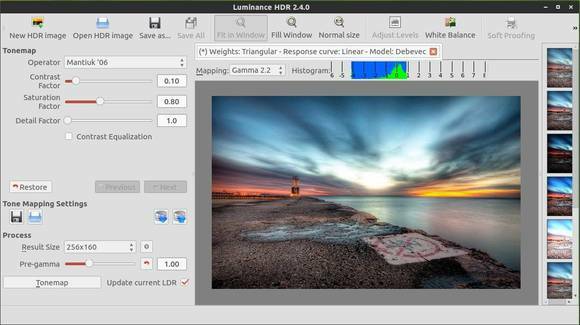 Luminance HDR, an open source graphical user interface application that aims to provide a workflow for HDR imaging, now is at version 2.4.0. This release introduces a few new features: automatic anti-ghosting, FITS support, integration with Windows Task Bar, improved I/O with TIFF 32 bit (which will make possible to export to third party software for high-quality post processing), redesigned merge algorithms. These commands will also install the previous version 2.3.1 in Ubuntu 13.04, Ubuntu 12.10 and Ubuntu 12.04.
thank you! everything become clear and simple!